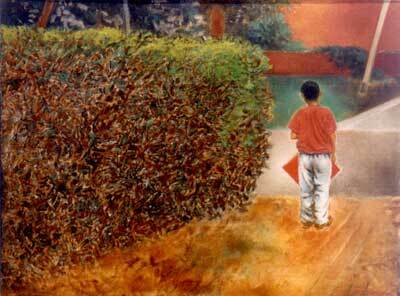 His paintings and drawings have a distinctive personal code, signature and style. 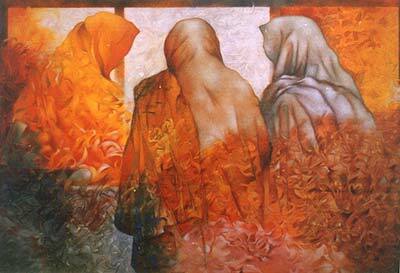 Cowled or shrouded heads or figures and squatting human forms – as are so much a part of the local visual environment, are one persistent ingredient of Prem Singh's paintings.Other elements are gateways – as front the average suburban home, sunflowers, window-bars, shapes or outlines of the universal loosely tied bundles. All this material is projected on canvas by the possessor of a hand and a mind that evidently likes directness, and simplicity of statement. States of expectancy or suspense are evoked by certain of the works, and yet the cowled emptiness does not become eerie. It remains this side of the ghostly. 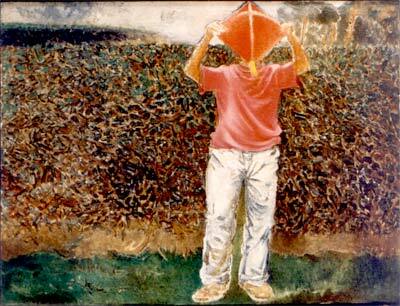 Prem Singh's palette evinces his deep understanding of the psychological value of his colours. This aids him in ‘loading' his paintings with an emotiveness. His colours are rich and evocative. While being figurative, his realism is of a different order. He would appear to be essentially striving towards the symbolical, even while allowing the mystique to creep in. 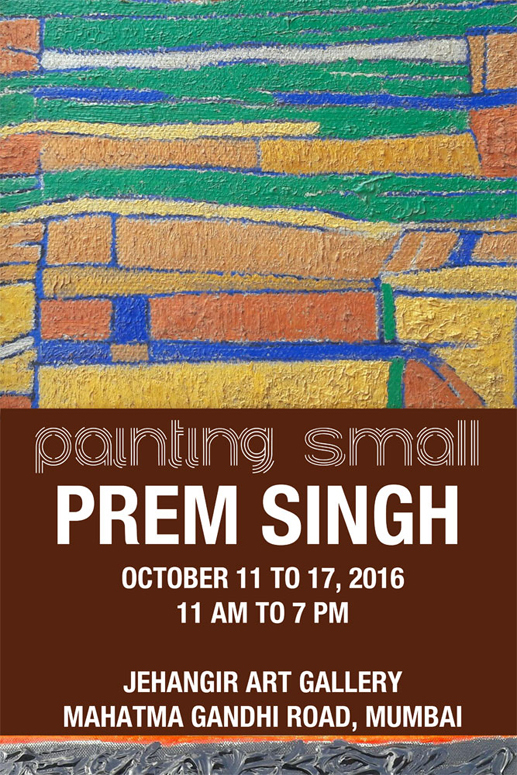 Woman is the theme of the paintings of Prem Singh. They have a sense, a sacramental living and see profound dignity as well as beauty in the humble chores. 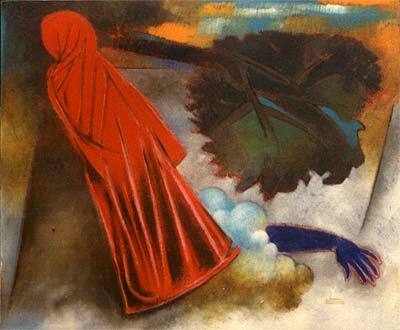 The compositions quietly manage a monumental and symbolical quality and the handling of colour is especially sensitive. Prem Singh is the first realist with human concern in Punjab in recent years. 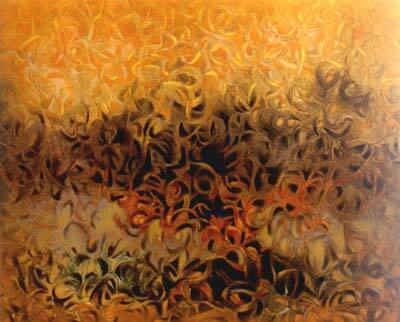 What Prem Singh appears to express in his works is what he has seen with the eyes of his mind. 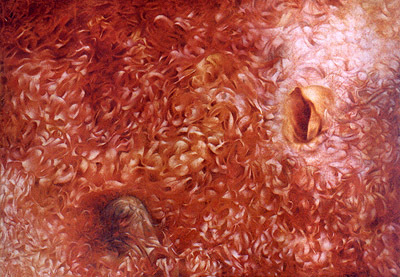 For instance, in his earliest series of works, he has attempted to identify himself with Vincent Van Gogh. He has been searching a kinship to Van Gogh in his style and portrayed him as a haunting spirit in the midst of the environment; the master had painted – landscapes, interiors etc. These works are quite distinct. He has put literal titles to these small paintings, executed with a feeling for detail, which make them rather intriguing : “between Life and Death” expresses Van Gogh's feelings before he shot himself, “Master's Sunflowers”, show Van Gogh looking at the Sunflowers he had painted; or “The last Journey” depicting the mask - like face of Van Gogh hovering sadly at the corn-fields surrounded by flying crows; or the “Contemporaries” ( Van Gogh & Gauguin) represented by the chairs, pipe and the candle.